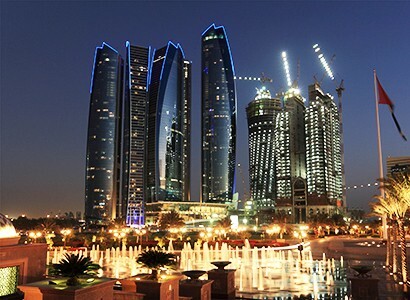 We are looking to employ a nanny live in for the property in Abu Dhabi. The principals 2 months old daughter who is their first child and they are now looking for some experienced, professional help. In fact they are very hands on parents and want to be involved in their babies growing and development. We are looking for a mature as well as experienced candidate, a person who is very kind, communicative but not "wishy washy and emotional". The family travel a lot due to their busy working schedules however, the nanny will not be required to travel and normally only one of the parents will be away at a single time. The nanny will be required to travel with the family during holidays to USA or Asia. Once the child is weaned the principals would like the nanny to assist with developing a suitable healthy diet, preparing and serving meals and providing feedback on likes/dislikes and consumption. A daily report on physical and intellectual activities, feeding, sleeping and any other issues worth mentioning. As far as I am aware, the family would like to interview the candidates initially via Skype and following a successful interview, we will arrange a two week paid trial. Assuming this is successful the candidate will be then offered the position. There are no pets at the property.